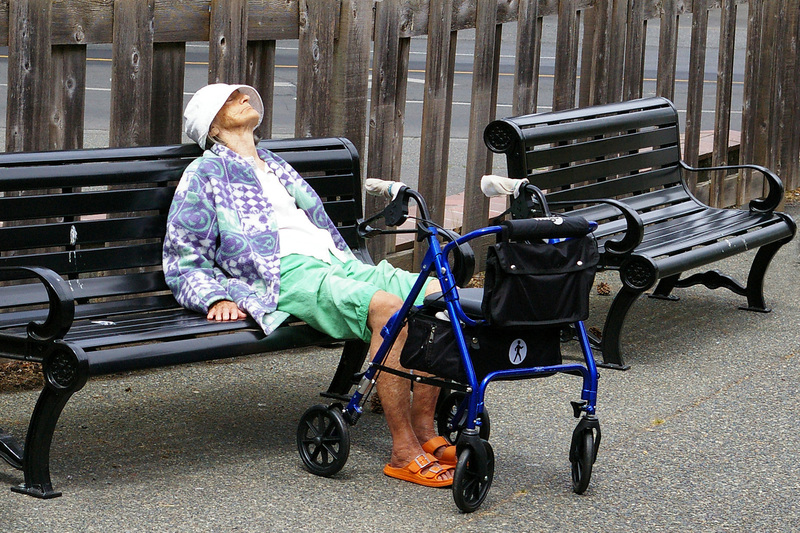 Trying to keep up with all the activities associated with blogging and social media sometimes makes me feel as worn out as this woman on the bench. Sometimes I pull away voluntarily, but sometimes, like recently it’s a forced break due to circumstances beyond my control. After disconnecting the land-line, we decided to have another more improved line installed for internet access only. It won’t be installed until Monday. So…….I have been sitting it out from the sidelines. I have posted a few times from work but at home I have only been dipping in and out, via my phone. It all gets so exhausting. And sometimes I look at the Facebook ticker tape and it looks so darn loud and busy, almost as if it’s screaming at me. That’s when I know I need to take a break. So I have been doing some other things instead. I have been taking bike rides, and I even wrote out some note cards for people just because. I have been observing, a lot. I talked to my Aunt last light instead of getting on the computer and we laughed over the phone about things going on in her life and mine. I could hear that she really appreciated the call, and I was blessed too. She amazes me. At 80 she sounds as young as she did at 60. She goes to the rest home three times a day to see her husband who will never come out. She calls it her part-time job and it makes her happy to be there for him. She has a lot of courage. My Mom says when she was a girl she refused to ride the bus to school so my Grandpa bought her a Victory bike and she braved mean country dogs that chased her. She rode for miles to and from school. She had her tonsils out with no anesthesia, and she is a breast cancer survivor. We talked of Heaven and how we will all be together once again, and whole……..and how He will wipe our tears away forever. No more cancer, no more dementia, or Alzheimer’s, or death. Somehow I don’t think I will miss it then. photo courtesy of creative commons, some rights reserved. This entry was posted in Uncategorized and tagged Aging, Everyday Faith, Heaven, Reflection, Rest, Social Media. Bookmark the permalink. Good on you Lori. I’ve been feeling like this lately and it’s good to be reminded that it’s ok to take time out. I am in agreement with you here, my friend. Especially about the Facebook ticker seeming as if it is practically screaming….distracting and tearing us away from what and whom is more important. Well done, Lori!